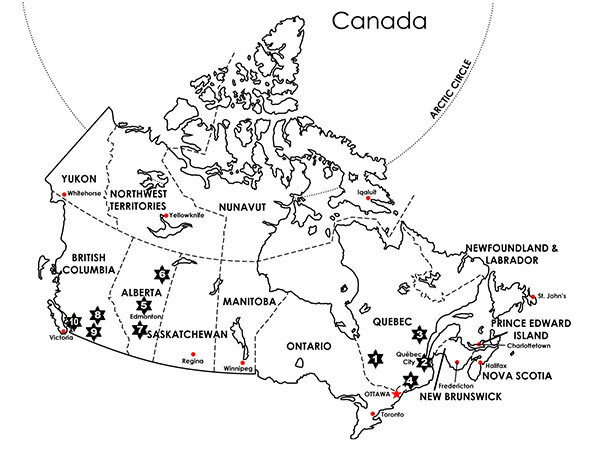 The Institute of Mining Engineering III went on a field trip to Canada from 19th May to 1st June 2015. The focus of this excursion was on the visit of five open pit mines. One underground mine and the visit of the “Institute for Mining, Metallurgical and Materials Engineering” of Université Laval completed the program. The excursion started with the visit of the Canadian Malartic Mine (1), which is an open pit operation that extracts gold near to the village of Val d’Or (in English “Gold Valley”). 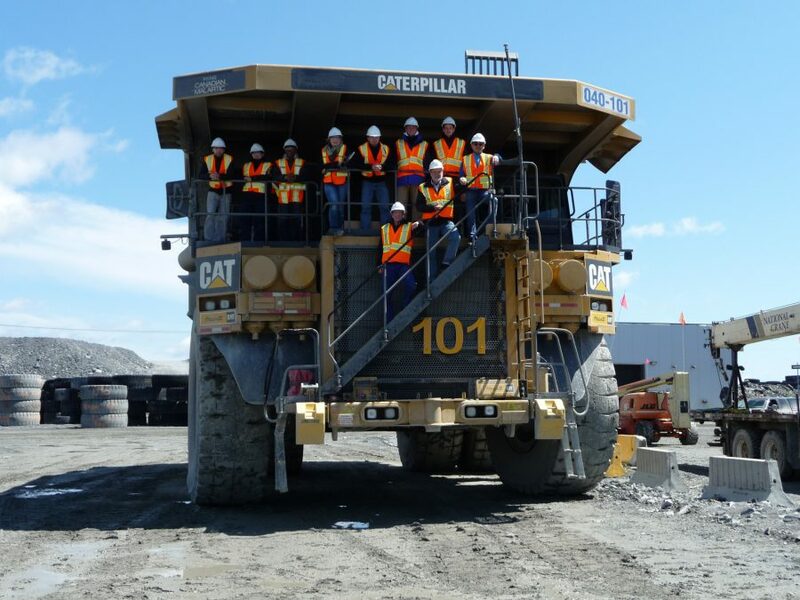 During the following visit of the Université Laval in Quebec (2), the participants of the excursion were given a deeper insight into current structural changes within the Canadian mining industry. Afterwards the group visited the underground mine of Niobec Inc (3). This operation is the only competitor of the main producers of niobium in Brazil. The group left from Montreal (4) to the western parts of Canada. Via Edmonton (5) the journey led to Fort McMurray (6), which is globally seen the main location for the extraction of oil sands. Here, the participants were guided through the Millenium-/Steepbank-Mine of Suncor Company. Afterwards, in the Genesee-Mine and the Paintearth-Mine of Westmoreland Coal Company (7), the use of draglines in coal operations was demonstrated. After crossing the Rocky Mountains (8), the participants visited the Copper Mountain Mine (9), which formed the highlight of the excursion. The very last day of the field trip was spent in Vancouver (10) and its surrounding nature. Further technical and operational information regarding the visited mines as well as experiences and impressions gained during the trip, can be found in the extensive excursion report.